Joan McComas was determined to save Bill's life with her kidney donation — if only they could find a hospital willing to do the transplant. For Bill McComas, finding a matching kidney donor wasn’t the challenge it is for most patients. Nearly 100,000 people in the United States wait an average of 3.6 years for a lifesaving kidney transplant, and many more, including some in the New York metro area, face even longer waits. Yet their love — and test results confirming that Joan was a match — wasn’t enough to ensure a transplant. The couple faced another challenge: finding a hospital and medical team that would perform it. 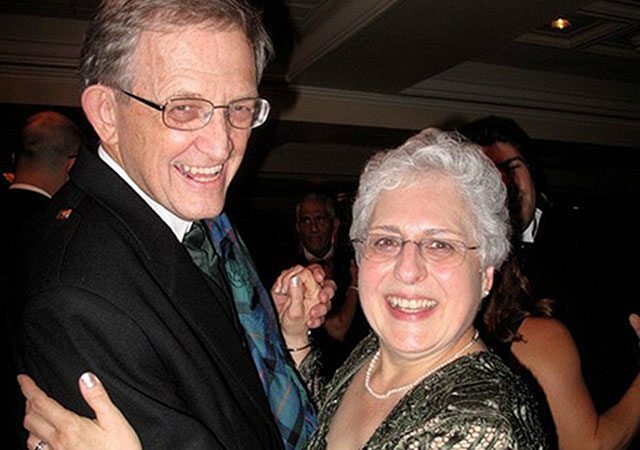 Although Bill, 73, and Joan, 68, had been healthy and active throughout their lives, three hospitals rejected the couple for transplant surgery, citing Bill’s health in one case and, in two cases, Joan’s age. That meant that after four years of medication and dialysis, the McComases were worried Bill might never receive the transplant he needed. The chemistry between Bill and Joan began, appropriately, in an organic chemistry lab. Bill was the lab instructor at Upsala College, and Joan was the bright, attractive student who caught his attention. By the end of the semester, Bill finally worked up the nerve to ask her on a date. 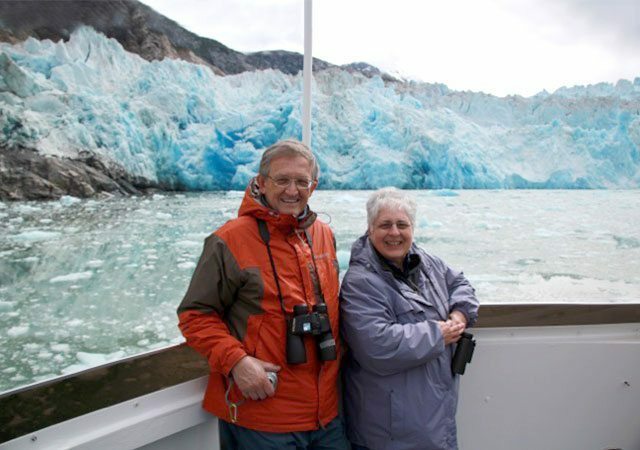 Married in 1975, the couple embarked on a lifetime of travel and adventure, from a honeymoon spent canoeing in Minnesota to camping trips with their two children to later trips kayaking in Alaska and exploring Scotland. Before his kidney problems worsened, Bill was a walker and a Mr. Fix-It around their home in Denville, New Jersey. He spent free time tending to his yard and to his granddaughter, who lives next door. In 2012, he felt as healthy as ever and had recently retired from his career as a chemist at a pharmaceutical company. 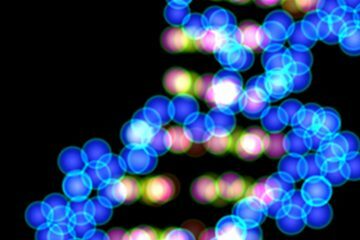 But routine blood tests led to further testing and a surprising diagnosis: pauci-immune glomerulonephritis, a syndrome that causes a rapid loss of kidney function. After trying medication, Bill began 18 months of peritoneal dialysis at home each night and eventually, when his condition deteriorated, during the day. Peritoneal dialysis removed waste from his body, doing the job his kidneys couldn’t adequately perform. But Bill wasn’t his normal self; he felt winded on walks and was too tired for his usual house projects. Over time, the physical symptoms took an emotional toll, too. Joan noticed her husband becoming quieter and less engaged. 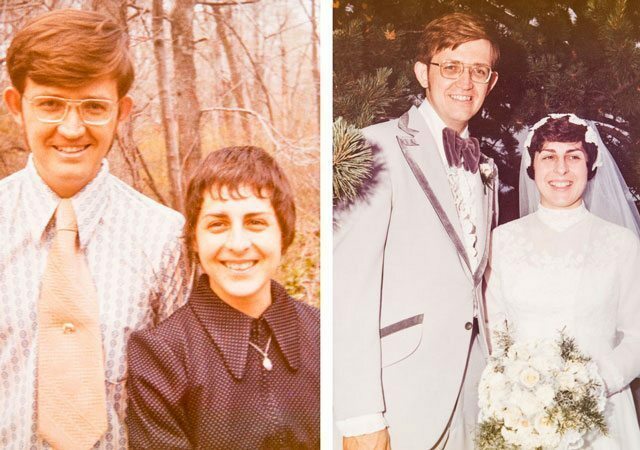 Joan and Bill met in an organic chemistry class and were married in 1975. Travel has been a large part of the couple’s life together. They visited Alaska in 2010. 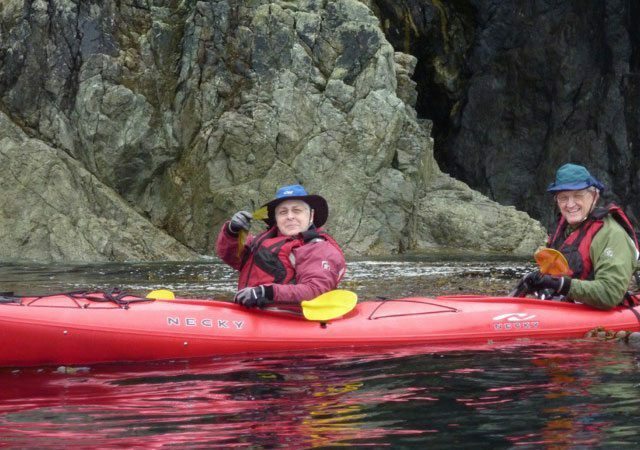 Joan and Bill on a kayaking trip to Alaska. Joan and Bill enjoying a dance together. Joan and Bill awaiting surgery at NewYork-Presbyterian/Weill Cornell Medical Center. 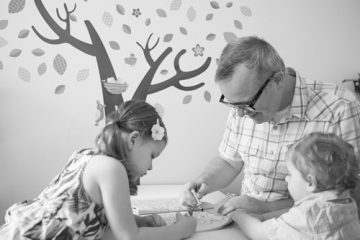 One week after the transplant, Bill enjoyed time at home with his granddaughter. By 2015, doctors determined that only a new kidney could improve Bill’s health. They were initially accepted for a transplant at a local hospital, which determined that Joan was a match. But later, they learned that Bill had been dropped from the program. While the hospital cited Bill’s “comorbidities,” which means the presence of other health conditions, Bill and Joan suspected that the staff considered them too old. Another hospital wouldn’t test Joan because of her age, which exceeded the program’s maximum donor age of 65. And at a third hospital, they were told the donor age cutoff was even lower: 60. As scientists, they were frustrated that hospitals disqualified them on age alone. Joan, who is a medical writer at a pharmaceutical company, felt that age shouldn’t have been a factor. 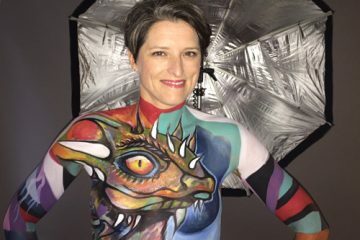 “If you go through testing and, physiologically, you meet the requirements needed for transplant or donation, I don’t understand why it should be a problem, especially with people living longer and being active,” Joan says. In fact, thousands of people age 65 and older undergo a kidney transplant every year. Last year, 909 such seniors received a kidney from a living donor, and 2,757 received a transplant from a deceased donor, according to the national Organ Procurement and Transplantation Network. In addition, 272 living donors 65 or older donated a kidney in 2017. Despite their setbacks, the couple were confident that they could find a less-restrictive transplant program. But as Bill felt increasingly fatigued, sometimes questioning the value of getting out of bed, they couldn’t help but consider worst-case scenarios. On an average day, 13 people die waiting for a kidney transplant. The McComases’ search ultimately led them to NewYork-Presbyterian/Weill Cornell Medical Center in September 2017. NewYork-Presbyterian performs more solid organ transplants than any other hospital nationwide, including more than 400 kidney transplants annually. Dr. Sandip Kapur, who leads the kidney transplant program at NewYork-Presbyterian/Weill Cornell, was optimistic about the couple’s chances for a successful transplant. NewYork-Presbyterian determines eligibility for both transplantation and donation based on a number of factors, such as health history and the results of a comprehensive medical examination and a psycho-social evaluation, including adherence with medication and treatment regimens. But while the screening is stringent, NewYork-Presbyterian doesn’t set upper age limits on kidney recipients or donors. Encouraged by the positivity of the transplant and donor teams, Bill and Joan had more jokes than heartfelt goodbyes as they prepared for surgery on January 11 of this year. “You’re going to wake up peeing like a girl,” Joan told her husband as she headed for the operating room. The day after the transplant, as they walked the hallways of the hospital together, the couple was amazed that Bill’s spirits and appearance had improved so quickly. “I was surprised how much better he looked already — his color, his disposition,” Joan says. Dr. Kapur was pleased at how quickly both patients recovered. 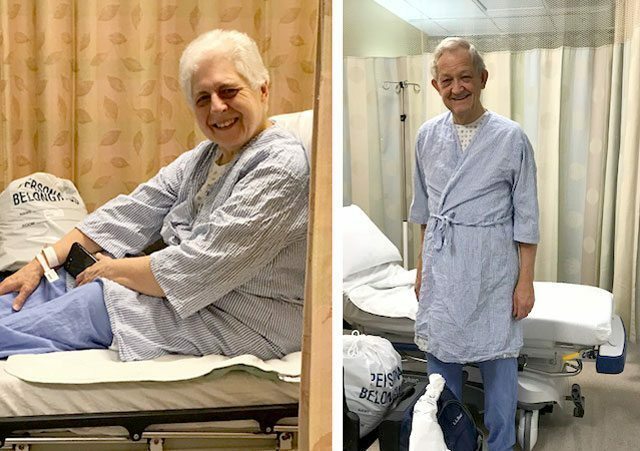 The McComases credit the NewYork-Presbyterian/Weill Cornell staff — from the nurses who signed a get-well card to the friendly cleaning crew — for being supportive and upbeat as the couple recovered from surgery. Dr. Kapur credits Joan for her determination and her devotion to her husband. Prior to surgery, Bill had been muddling through each day. But as soon as the day after surgery, he noticed his energy coming back and he felt like being active again. “It was like somebody just threw a switch, from feeling bad to feeling good,” Bill says. 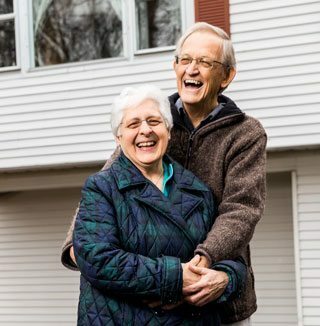 A month after the transplant surgery, the McComases talk of resuming the life they had before Bill’s illness: walking, biking, vacations on Cape Cod, and spending time with their granddaughter and a new grandchild on the way. 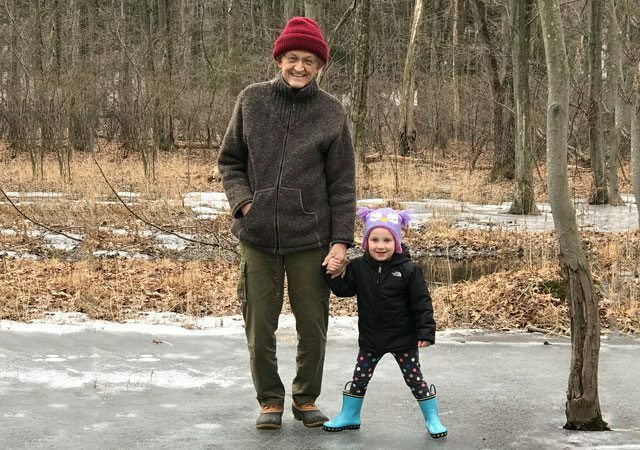 While Bill visits NewYork-Presbyterian/Weill Cornell weekly for follow-up visits with his care team, doctors have placed no long-term restrictions on his activities. After the hospital rejections, Bill worried he would be on dialysis for the rest of his life. He was sure that the trip he and Joan took to Scotland in 2015 would be his last. Their return trip for an international gathering of Bill’s Scottish “clan” is booked for this summer. Bill and Joan are thankful that the transplant has given them more active years with their family and each other. Since 1970, they’ve been a team — sharing interests and personalities, along with a willingness to make sacrifices. To learn more about our kidney transplant program, visit here.